To analyze the available evidence on the role of treatment-oriented surgery in stage IV gastric cancer (metastatic disease), a systematic literature search was undertaken using Medline, Embase, Cochrane, and Web-of-Science libraries. The search was not restricted to articles published within a given year range. Articles written in English language (or with abstracts written in English) were considered. All references in the chosen articles were further screened to find additional relevant publications. Both clinical series and literature reviews were included. Stage IV gastric cancer is classified into four subcategories: positive peritoneal cytology without clear macroscopic peritoneal involvement (surgery is usually performed in these cases); gross appearance peritoneal carcinomatosis [surgery, eventually with hyperthermic intraoperative peritoneal chemotherapy (HIPEC) may be considered in very selected cases with limited PCI]; nodal metastases outside the loco-regional nodes (surgery may not be denied for metastatic nodes in stations 13 and 16); and hematogenous metastases (surgery should be performed in selected cases with liver metastases suitable to R0 resection). The analysis incorporated the new biological classification of stage IV gastric cancer recently proposed by Japanese researchers (Yoshida et al. in Gastric Cancer 19:329–338. https://doi.org/10.1007/s10120-015-0575-z, 2015) into the four aforementioned subcategories to make the comparison of the issues discussed meaningful. The take home message from the existing literature is that treatment-oriented surgery may be performed in a significant proportion of patients with stage IV gastric cancer. Members of GIRCG-Italian Research Group for Gastric Cancer who collaborated on this paper are fully listed in the “Acknowledgements” at the end of the article. We thank Paolo Morgagni, Daniele Marrelli, Franco Roviello, Simone Giacopuzzi, and Giovanni De Manzoni on behalf of the Italian Research Group for Gastric Cancer (GIRCG) for their contributions in conceiving the manuscript, and Luca Arru for his contribution to the literature search strategy. We are grateful to RicerChiAmo Onlus (http://www.ricerchiamobrescia.it) for supporting this study. All the authors made substantial contributions to conception and design of the study, acquisition of data, or analysis and interpretation of data, drafted the article or made critical revisions related to important intellectual content of the manuscript and finally approved the version of the article to be published. In particular, GLB conceived the study; SM wrote the paper; SM and ZB performed literature search and review; FG analyzed the data provided by SM and ZB; and FG, GLB, and NP reviewed the paper. All the authors declare that there is no potential personal conflict of interest or financial disclosures. The guidelines provided by the Committee on Publication Ethics (COPE) have been followed. This article does not contain any studies with human participants performed by any of the authors. 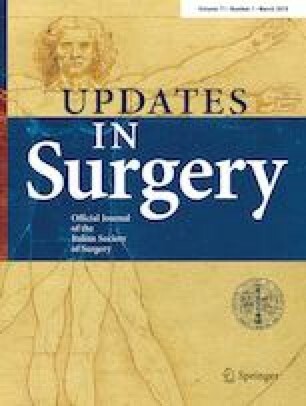 All the authors declare that the material has not been previously published or submitted elsewhere for publication and will not be sent to another journal until a decision will be made concerning publication by your journal, since the manuscript is a review of the literature, no informed consent was obtained.